In the Bhagavad Gita, it is written that rajoguni people pursue happiness by means of hard work, but the real happiness lies in meditation. Does this mean that I should stop studying, and meditate all the time? No, this is some misinterpretation. Which translation did you read? Not at all. It is not like that. Rajoguni happiness is that which suddenly goes high and suddenly comes down. When someone gets a prize, they jump to the ceiling, and then just fall flat. Satoguni happiness is that of equanimity. If you win, you don’t lose your head and if you lose, you don’t lose your heart. You keep your heart in the right place, your mind in the right place and still be happy. This may be little difficult in the beginning. It is like when you are asked to do some yoga, pranayama and meditation, you think it is so boring. Your mind says, 'Better go for a party outside somewhere'. So in the beginning it may seem not so good, but once you start doing, your experience changes. It gives you such a high. How many of you have this experience? (Many in the audience raise their hands) Once you do it, you realize, 'It is so good. I want to do it again and again. It is better than going for a party'. Isn’t it? That happiness which in the beginning appears to be difficult but in the end gives you lot of happiness, is satvik happiness. Rajasik happiness, is one which brings you a lot of joy in the beginning, but later on it brings you disaster. In the beginning it gives you a little high, but later on destroys your body, mind and spirit. Tamasik happiness is one which only promises happiness, but neither in the beginning nor in the end gives any happiness. You are just caught up. Just like smoking. Smoking does not make you blissful, but people who are addicted to it, can’t leave it. And when they leave it, it gives them pain, even though doing it doesn’t give them any great pleasure. This is a habit. How do we cope with small minded people? See, there are so many types of people in this world. How many people do you know who have for no reason become your enemies? Your good friends have become your enemies? Isn't it? Similarly, so many people who were unknown to us have helped us at some point of time. We may not have done anything for them, but they helped us out. So friends or enemies are all a cause of our karmas. If our time is wrong, friends can become enemies, and if our time is right, enemies can turn into friends. Bhagavad Gita says, just do your duty and don’t look for the fruits of your action. How do we achieve this? Doing your duty is like planting a seed. It may sprout, grow, give flowers and fruits. But if you keep digging up and checking whether the roots are growing and the shoots are growing, then will it grow? It can never grow. That is why it is said, don't worry about the fruits right now. It will give results in its own time. Right now, all that you should do is plant the seed, water it and wait patiently till it grows, flowers and bears fruits. If you plant a mango seed, will you get mangoes immediately? You will only get it in due course of time. So the Bhagavad Gita says that, don’t look for the rewards, just do your duty right now. 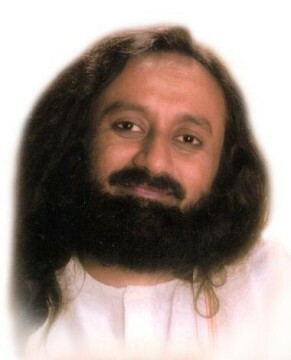 Gurudev, due to religious systems, people fight. Religion was formed by God, so does God take the blame for this quarrel? Listen, fools take any pretext to fight, not just religion. Fools fight over caste, over language, over nationality. They fight over anything. Be wise and rise above conflict. In the Bhagvad Gita, Krishna advises that the path which we choose is more important than the goal. So please tell me which one should we concentrate on, the path or the goal? Fix the goal and the path starts opening up by itself. Be spontaneous! Do you remember the formula? Purity in the heart, clarity in mind and sincerity in action. 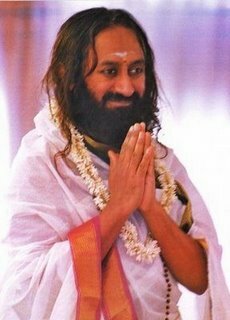 Gurudev, when you are in the ashram, the atmosphere is so lively and vibrant. But when you are not here, it feels so deserted. You must enjoy both. When I am not around, come, sit here quietly and meditate. And when I am there, there are people, there is noise everywhere and things are happening. But in both situations, you should remain calm and centered, and your mind should be unaffected. 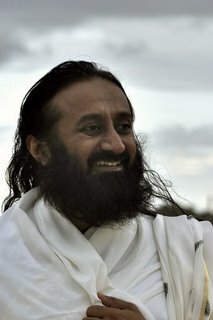 How do we stop animal slaughter Gurudev? We need to stop it with the help of laws. Some countries don’t have the legal system backing them for this. People should also be more aware. When India got its independence, there were 120 crore cows and 30 crore people in the country. Today there are 20 crore cows and 120 crore people. So the ratio is now 1:5. How will 1 or 2 liters from 1 cow suffice for 5 people? So if cows reduce at such a rate, very soon milk will be something we can only read about in books, and not be able to see or drink milk at all. People will have to imagine this white liquid which at one time used to be drunk by people, and only hear stories about milk, but not be able to drink it. So animal slaughter has to definitely be stopped. If we want our country to progress, this is essential. All of you must work towards this. Talk to people in your respective villages. I am sure our new Prime Minister will definitely do something about this.